The classic version of the suspension geometry calculator. It is simplicity itself and a great place to start learning about suspension geometry. 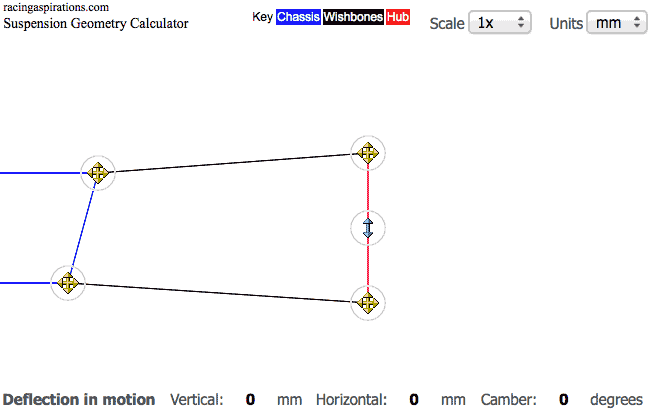 With this calculator you will see how bump and droop can affect camber.